Baxter is “clearly a conservative character,” Fox Television Group CEO and chairman Gary Newman told reporters in California on Thursday. However, Newman said that there aren’t any plans to write in definitively whether Baxter voted for President Donald Trump or not. “I will say right now the producers’ plans are not to address whether or not he might be a Trump supporter,’” Newman said at the 2018 Television Critics Associations’ Summer Press Tour, reported Fox News. Newman said that he doesn’t expect the series to become more political than it has been in the past. 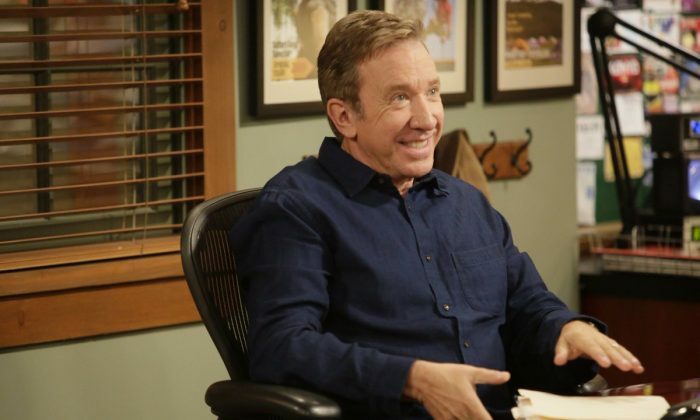 One hundred and thirty episodes of “Last Man Standing” aired on ABC beginning in 2011, but despite being the network’s second-highest rated sitcom for the 2016-17 season, it was canceled. “With a central character who is a political conservative and devout Christian adhering to traditional American values, the blue-collar comedy appeals to viewers in the Heartland, a constituency that helped elect Donald Trump as president,” Deadline noted. One year later, Fox Television Group announced it had picked up the show, and executives noted that it appeals to the middle of America. Newman told reporters, that “a strong family comedy with a strong point of view can play well in the middle of the country,” referencing the success of “Roseanne,” reported IndieWire. Besides Allen, a number of series regulars are set to return, including Nancy Travis (Vanessa Baxter), Amanda Fuller (Kristin Beth Baxter), and Hector Elizondo (Ed Alzate). Molly Ephraim (Mandy Baxter) and Flynn Morrison (Boyd) are the major characters who won’t return, reported TV Line. Both roles are being recast.